Kate Somerville's Daily Deflector Waterlight Broad Spectrum SPF 50+ is the latest sunscreen release from the brand, and it is officially my new daily-use sunscreen. I apply it after my moisturizer and before my base makeup. I used Dior's DiorSnow SPF 50+ for years, but I have been looking for a lighter sunscreen since I have started to wear foundation primer regularly again. Click to read more and see if this Waterlight formula could be a contender for your next Holy Grail sunscreen! 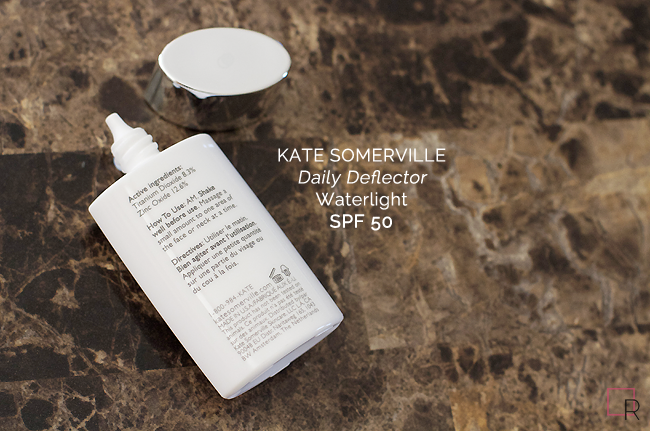 The Kate Somerville Daily Deflector Waterlight Sunscreen is $48 for 1.7 ounces, which is more affordable than Dior's at $58 for 1.3 ounces. 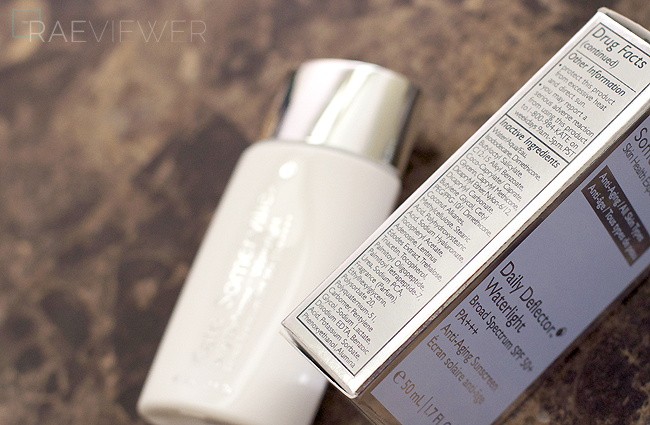 I have yet to try the reformulated and repackaged DiorSnow White Reveal UV Shield sunscreen. While I do plan to give it go in the winter, I have converted to this Daily Deflector and this will be my go-to summer sunscreen. According to Kate Somerville, "a cutting edge delivery system ensures sunscreen stays in a reservoir on the skin's surface, while advanced ingredients penetrate to restore optimal moisture levels and redue the appearance of wrinkles." In short, this formula is able to maintain my skin's normal state and does not cause an oily T-Zone, which many sunscreens fail to do. I know many of you could not tolerate the tacky texture of the heavier Dior DiorSnow SPF, despite its oil controlling abilities. 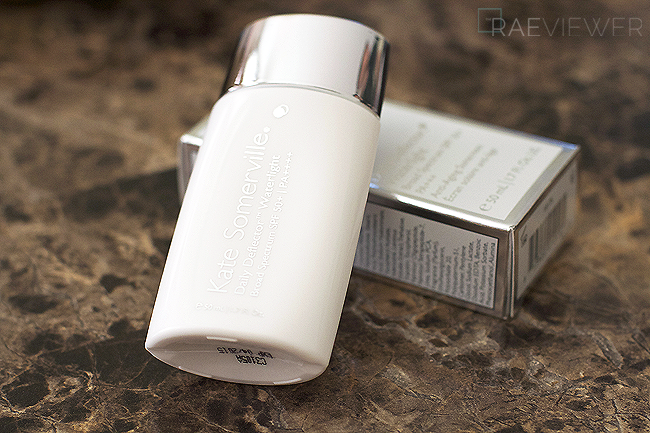 This Kate Somerville Daily Deflector is fantastic for slightly dry to normal or even combination skin and is ideal for those who are looking for a thinner yet equally effective sunscreen. It feels like a lotion when massaged into the skin. NOTE: This sunscreen does smell faintly of tropical banana candy, but the scent dissipates in five minutes of application. The 'Waterlight' term describes the formula in a nutshell, since it is ultra-fluid and non-greasy. I have not used a sunscreen this thin since the Chanel UV Essentiel, but I can distinctly recall the texture of the Chanel since it felt more slippery and did not dry down like this Kate Somerville sunscreen. 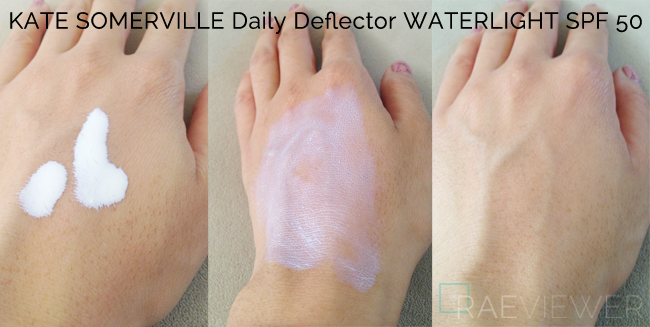 This Daily Deflector Waterlight is mineral-based, which I do prefer since mineral ingredients do not leave as much residue on the skin as chemical-based sunscreens. More importantly, however, it absorbs easily and dries down to a unique, slightly powdery satin finish that I have fallen head over heels for. I find that this sunscreen brightens up the skin and makes my freckles and other discolorations a bit less apparent, though some may not be keen on the initial white cast. Once fully absorbed, however, the tint of the sunscreen fades and you are left with the look of smooth, natural skin. I love the aforementioned satin finish of the formula, which reminds me most of the finish of Hourglass Immaculate. I find that this Daily Deflector Waterlight sunscreen is the ideal sunscreen to use with the Hourglass Veil Mineral primer and Immaculate liquid foundation. The three make up the perfect matte, but balanced, base makeup routine for the summer season. 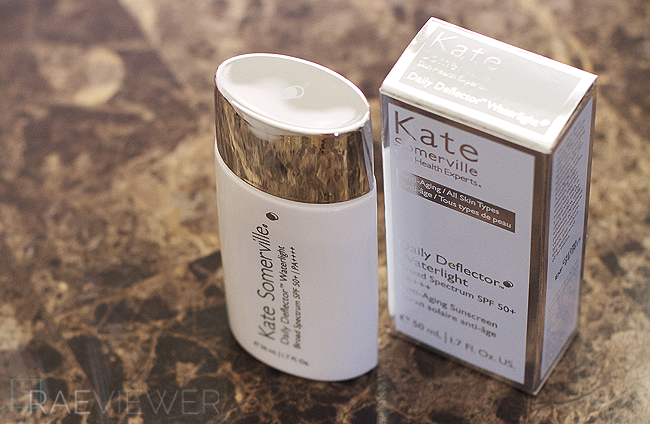 Bottom Line: This Kate Somerville Daily Deflector Waterlight SPF 50+ Sunscreen is a must-try for both skin care novices and sunscreen junkies! Was this bought at a Nordstrom? That texture reminds me of the Shiseido Anessa have you've ever tried it? I don't use Shiseido sunscreens anymore. I like the Sun Protection foundation, but the SPF lotion's texture does not work for me. Would you know how is compares with Clarins UV+ day screen high protection SPF40? What kind of sunscreen do you use for your arms and legs?